Barb and her studio, Knack studios has been pumping out the furniture makeovers for a while now, and so it only made sense that someone would offer up this talented a lady a book deal. And I'm so glad they did! 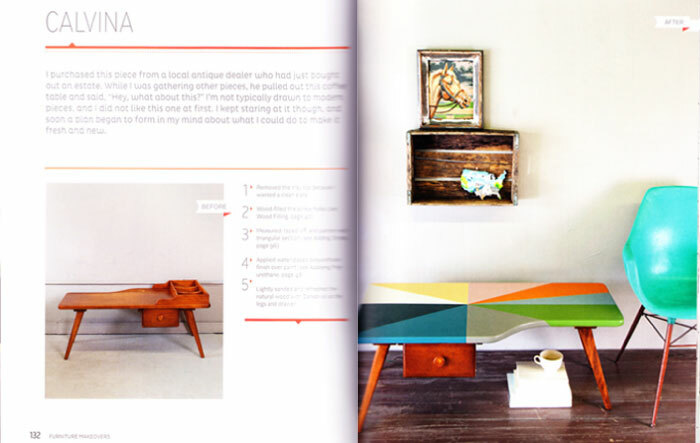 Furniture Makeovers (Chronicle Books) is a well thought-out guide to the fine art of furniture transformation. From the hunt of finding that perfect piece to all the essential tools and techniques to create a stunning showpiece for your home. Let's take a sneak peek shall we? Love this decoupaged recycled part of a desk that Barb transformed. Both sides of the desk had been detached, so Barb turned them into side tables with a little decoupage magic. Another fun transformation, turning an old modern (50's) coffee table and making it fresh and new with some fun coloured pinwheel action. 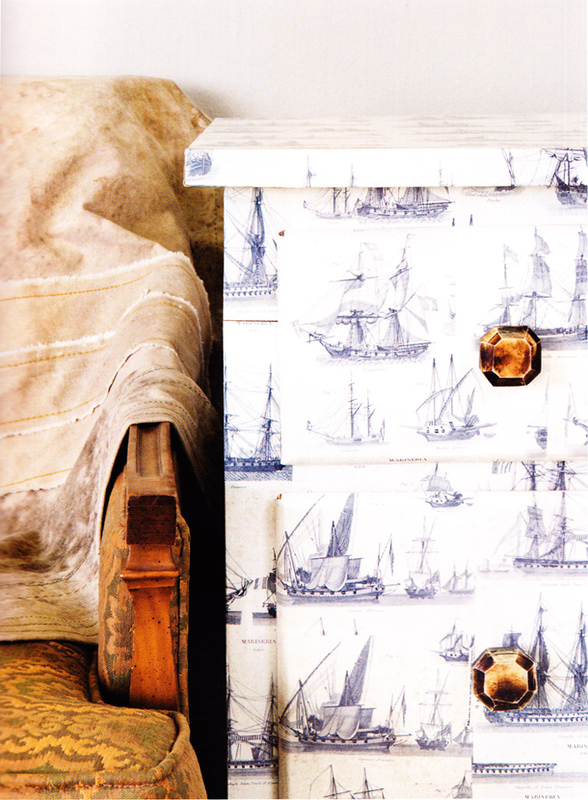 Whether it be decoupaging, dry brushing, stenciling, using milk paint, the techniques are endless and guaranteed to bring inspiration to your next furniture makeover project. Definitely a must-have if you're considering refinishing an old piece. All photo's by J. Aaron Greene. Check out the back cover for a little blurb from yours truly and a forward from Holly Becker. Thanks Barb for asking me, I was honoured. 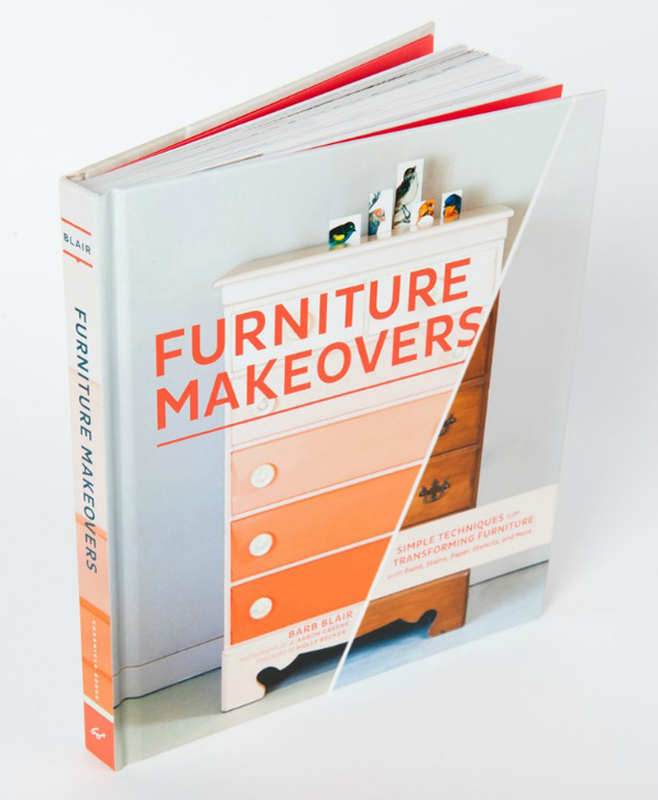 Furniture Makeovers (Chronicle Books) is available through Amazon.ca and Amazon.com. Also check out some behind the scenes of making the book over at Barb's blog at knackstudios.com. Wow, what an inspiring book! I need to have a closer look! Thanks for the intro! This looks awesome! Going to have to order it!